In 1765 surveyor Samuel Holland created the first accurate map of Prince Edward Island, dividing into three counties and 67 townships and designating the county capitals. Holland's map has had an enormous impact on the evolution of Prince Edward Island, shaping its settlement, its patterns of land ownership, the place names that dot its landscape, and even the Island's status as a separate colony and province. 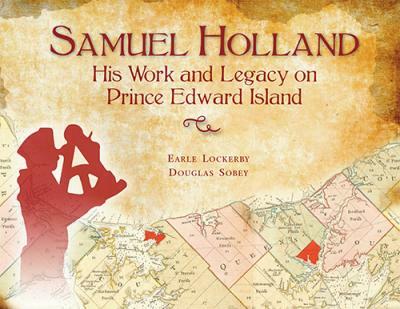 In Samuel Holland: His Work and Legacy on Prince Edward Island, Earle Lockerby and Douglas Sobey place Holland's survey within the context of the British policy for the settlement and governance of its territories in North America. They describe the stages of the year-long survey, including the names of the men who made up his survey teams. They explore the historical significance of Holland's work on the Island and assess his enduring legacy on its poitical and cultural geography.